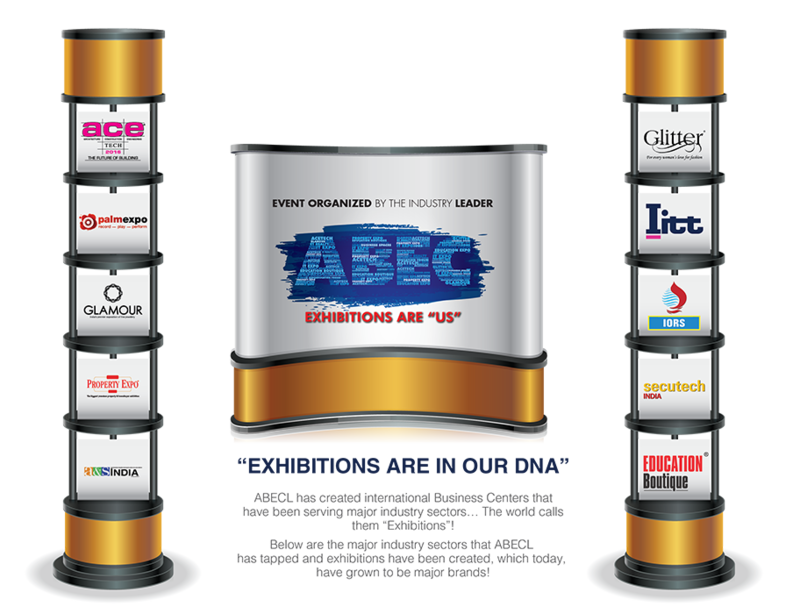 Being conceptualized in 2006, ACETECH is the flagship event of ABECL and it is by far, the largest exhibition in Asia ever held on Architecture, Design, Building Material, Construction and allied industries in terms of its size and the footfalls it has been able to generate over a period of time. PALM Expo is India’s longest running and most highly attended international trade platform for the Indian pro audio, live sound & lighting, music production and systems integration industry. Entering in its 19th year, PALM Expo has been delivering the true potential of the growing media & entertainment business in India. It is the only show, since inception, which enjoys the continued support pledged by leading industry players who drive the business and growth. Started decade back, Glamour has already established itself as the most sought after event for India’s Jewellery and Lifestyle industry. It’s a royal meeting place where leaders of the retail jewellery world showcase their exclusive products to the choicest of clientele, to expand the boundaries of designer jewellery and to unearth golden opportunities. A&S India is a strategic JV between Asian Business Exhibition & Conferences Ltd. and Messe Frankfurt New Era Business Media Ltd. A&S is world’s best selling safety & security publication, with 15 titles and published in 8 countries including India. It is the safety & security industry’s most dispensable media source!. Glitter is an ultra exclusive, elite celebration of the finer emotions of life. It is a niche event where only exclusive and high-end Indian and International brands dealing in Fashion Couture, Lifestyle Products, Bridal wear and Trousseau showcase their products and services. Asian Business Exhibitions and Conferences Ltd. has partnered with the World’s Fifth Largest Travel Exhibition - MITT, to bring to India it’s very own successful travel expo through International Travel & Tourism Exhibition (IITT). IITT aims to bring the Travel & Tourism industry under one roof and create a convergence stage to celebrate and further enhance the progression of the Travel and Tourism Industry. India Oil & Gas Review Summit and International Exhibition (IORS) is a major Oil, Gas and Petrochemical Industry event which is being organized by ABECL with the technical support of “Navratna PSU’s” and witnesses Indian and International participation. This is a Symposium which any person who is an important part of the Oil & Gas Industry, would never miss. Secutech India is a strategic JV between Asian Business Exhibition & Conferences Ltd. and Messe Frankfurt New Era Business Media Ltd. It is one of the largest and most successful global marketing platforms for the Safety and Security industry. This expo is one of the prime network zones attracting a record number of visitors and exhibitors. Education Boutique is India’s Largest Education & Career Fair! This 10 year old event that has stood the test of time and is always the first choice for educational institutions, schools, colleges, academicians and students alike. It features segments like the Career Expo, Education Equipment & Accessories, B-School Tour & Workshops.The only gateway to an Indian student for international schools & universities, we rightly call it “India’s Biggest Classroom!”.